Here we are with a few more sneak peeks of what's to come! Melissa Bickford has done it again with this new addition to her Polka Dot Parade collection. This cute little polka-dotted ghostie is just about the most adorable thing EVER! You'll love pairing him up with his coordinating die and even a little bow tie! 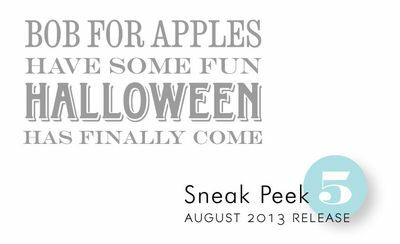 Dawn McVey is bringing you an updated twist on Halloween sentiments, featuring fabulous font combinations and clever wording that takes you beyond the standard "Happy Halloween". 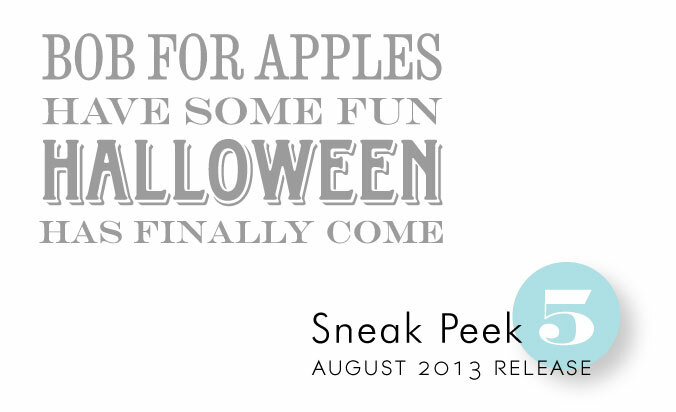 Perfect for tags tied to treats, handmade Halloween greetings and even spooky party favors! 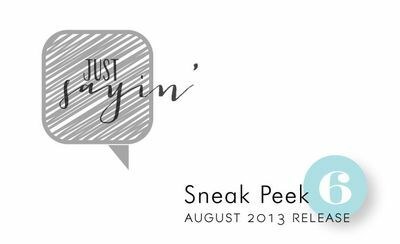 Maile Belles has put together a collection of modern speech bubbles that you will love using alone or pairing up with previously released sets! There are several styles to chose from within the set and even a few sentiments that make a perfect pairing! I'm thinking several of the Tremendous Treats images would love to have a speech bubble bring them to life! Oops, sorry Maile…put an extra letter in your name!! love that ghost, and the speech bubbles! Been waiting for some PTI speech bubbles. Can’t wait. Love the idea of a speech bubble. Really looking forward to the modern speech bubbles. Love how Maile’s designs looks so fresh! The speech bubbles are sure to be one of my new “go to” sets! Love the other sets too. Of course!!! Allways looking for new , fun stuff to add to Halloween; so looking forward to more!!! Oh those are so cute today! That cute little ghost just makes me smile. Love Halloween! Just sayin is cute. Liking this release already. This is going to be such a great release!! Oh, how I love Halloween stamps! So cute! Halloween stamps are my weakness and I love everything Maile does. Love the little ghost, he is so cute! Completely smitten with the polka dot ghost!!! Boo, back at you! LOL! Thanks again, PTI, looking forward to seeing more fun stuff for the fall season. That little polka dotted ghost is adorable! I cannot even tell you how excited I am about those speech bubbles. I’ve been trying to find the perfect set with matching dies and have been looking at several other companies’ options, but I have no doubt the “perfect” set will be this one, and I’m so glad I waited. I love love the ghost how adorable is that !! I can totally see using these stamp sets together for Ana who me Hollowwen card, so fun! So far loving the release! The speech bubble is awesome!!! Can’t wait to see the complete sets! I like that there are so many ways we can work with the Basket of Flowers. Really cute! I love making Halloween cards. Looking forward to playing with these! LOVE LOVE LOVE Halloween, makes my happy to see new stamps coming our way!! Dawn has done it again … those mums are going straight to my shopping list! Ghosts, ghosts, ghosts, my grand children and I love ghosts!!! Love that cute ghost, from the Polca Dot Parade collection!!! and the modern speech bubles awesome!! !